The badge a maker gives its car can see it sink or swim. Simon Hacker selects some of history’s bravest – or silliest – gambles. You might eschew the cowardice of Hyundai, Alfa Romeo and Lexus for their respective play-safe appellations, the CoupÈ, the C4 and ES. Yet a badge that recites whatís in the tin or hides behind the safety of alpha-numeracy can assure a safer future than some attention-seeking moniker that demands nerves of steel from your customers. Letís kick off with a big one. 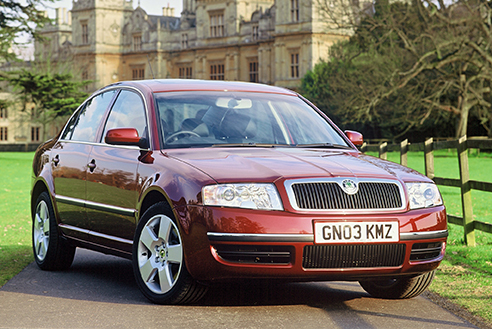 Skodaís limo rolled out in 2001 to raised eyebrows, not because of the temerity of VWís budget brand going all swanky, but for the brazen gamble of its name. This was Skodaís tank parked on the lawns of automotive prejudice. And what a tank: the Superb proved it was okay for Skoda to dig deep in its history and retrieve the badge because this car is superb. Skoda has, therefore, given reason for many potential rivals to step in with their own hyperbolic riposte, though as yet we await the Toyota Perfect and Honda Spiffing. 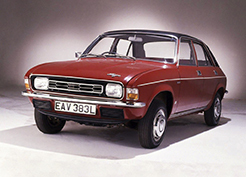 During gestation, the Allegro (1974) had a working title of ìflying pigî, given cynicism of its ability to turn the corner for British Leyland. The porcine reference also related to designer Harris Mannís constrained final draft: bulky, cost-saving mechanics forced him to come up with a tubby car that confounded fashions for square edges. And that name? Clearly using the Italian for ëlivelyí invites satire. More than half a million Allegros were produced, but it was dogged throughout its life by reliability and quality issues, including wheels falling off. History has made the badge a byword for a dark episode in British industry, but itís not all doom: treasured Allegros today attract values of up to £5,000. And so to the sublime. While British Leyland unveiled the Allegro, 1974 also saw Lamborghiniís Countach. It was called the LP500 as a concept in 1971, but the final name raised eyebrows around the world: in France, itís sonically the spit of a slang term for a prostitute, while in the USA some claimed it was too close to a racist term for black people. The official inspiration for the name is that itís a Peidmontese expression of surprise. Think ìOh, my giddy aunt,î or maybe something less genteel. Dig deeper into the etymology and you find that the original ìcuntaccî means contagion. No wonder Lamborghini dropped the whole idea and chose something less controversial for its next modelÖ the Diablo. Itís easy to sneer at car names (and fun, too) but the satire is irrelevant if the product relates to a market that wonít question the name. Hence the likes of Mitsubishiís Lettuce, Isuzuís Mysterious Utility Wizard and Mazdaís Titan Dump are, in effect, fireproof since, back home, the words are meaningless. When you have a global model, however, thereís no such mitigation. Which is what makes Fordís Probe all the more hilarious. Fettled to replace the Capri in Europe and Mustang in North America, itís likely that the semantic association delivered a slow-burn effect. Initially, enthusiasts had more criticism for the front-wheel drive, the styling and the price. For these reasons, the Probe didnít penetrate. But that name was always loitering in the background, whispering suggestions of medical exploration when all Ford wanted to do was inspire adventure. Little wonder the Probe flopped. Ghastly animal conjunctions are best left to Greek mythology, but naming experts donít agree. And it can work ñ simply take the front half of one word and glue it to the back of another. So your great idea becomes the Gridea while that friendly new pick up is a, er, Fruck. Okay, itís a perilous field, but that hasnít stopped Toyota with its venturing and Monza-ish Venza, or Hyundai, with its ion-inspired and unique Ioniq. 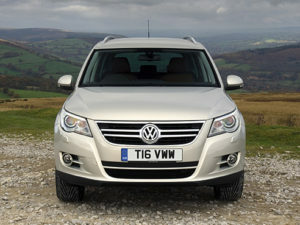 Maybe VW perfected the art with the Tiguan, a bizarre interbreeding of tiger and iguana. Sales to date suggest whoever signed it off is safe from taxidermy. And so to the best car names of all time. These, surely, are the ones that show a little sparkle, a twinkle of marketing wit. Roll forward, please, Nissanís S-Cargo, a diminutive (small cargo) van that unashamedly riffs CitroÎnís 2CV, aka the tin snail, while punning the escargot message. 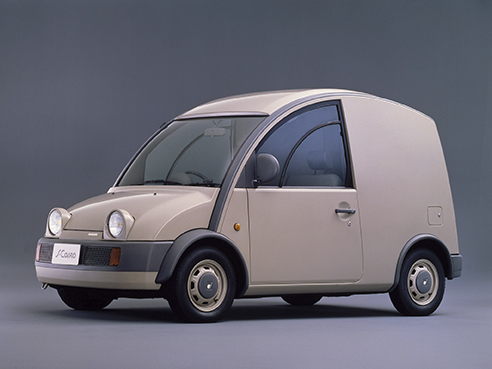 The fact that the S-Cargo was so cute made it unlikely CitroÎn would complain. And after all, didnít the French firm create the God of all auto names or, more accurately, the goddess? Fans of the 1955 DS can only nod.